I’ve always been a jewelry person but my style of jewelry has significantly changed throughout the years. Who’s hasn’t? I mean all of us had a puka shell necklace and a mood ring at one point in time, right? Right?!!?? 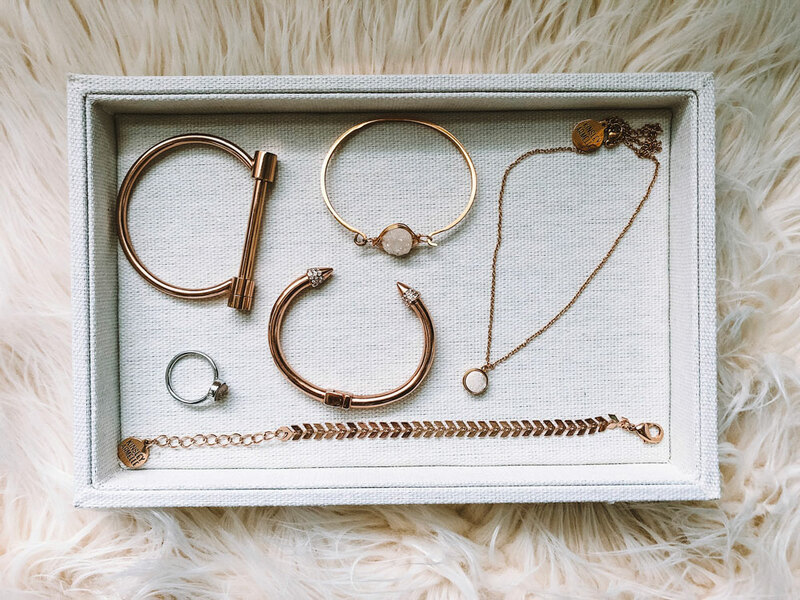 Now-a-days, my taste in jewelry leans toward the simple but classy side. I like mostly dainty pieces for necklaces and bracelets (because I like the layer them) but I love a good statement earring. It's just a fact that no outfit is complete without a little bling! I tend to learn towards the designer jewelry look, though, so when Kinsley Armelle reached out to me to collaborate, I jumped right on board! I'm so excited to introduce you to them. All the Kinsley Armelle pieces are such high quality. They look expensive, like designer items, but they are reasonably priced. Some of their pieces are very dainty and simple (like the ones I’m wearing here) while others are more like statement pieces. What I love most, though, is that all of them mix and match and compliment each other perfectly! I love to mix colors, metals and styles but other times I want everything to match. Kinsley Amelle makes both options possible. They offer druzy styles, rhinestones, chunky boho pieces, colored beads and more. When I visited my parents in NW Arkansas last weekend, I discovered Kinsley Armelle items at several of the local boutiques. I felt so “in the know”! 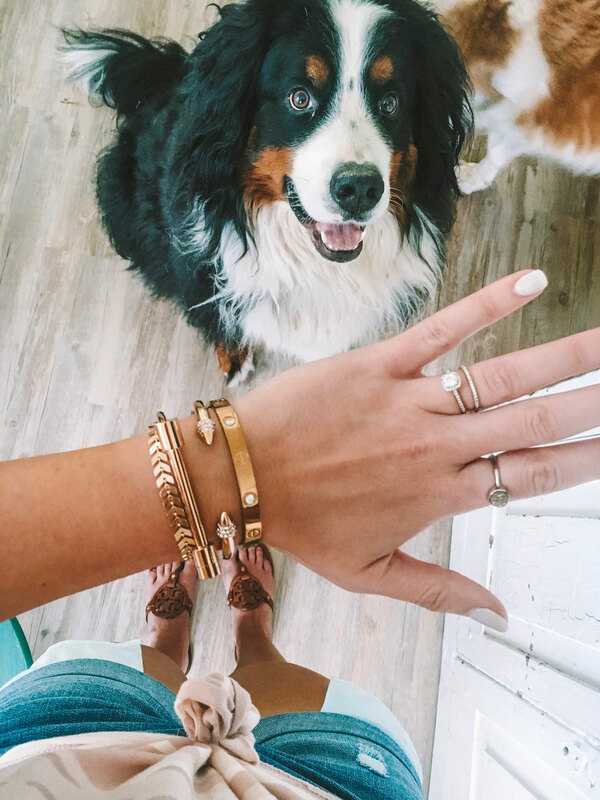 Most pieces are available in silver, rose and yellow gold; I've seriously worn my bracelets every day since they arrived and have gotten so many compliments on them. And they don't just have bracelets, there are necklaces, rings and earrings, too (even a few men's pieces)! 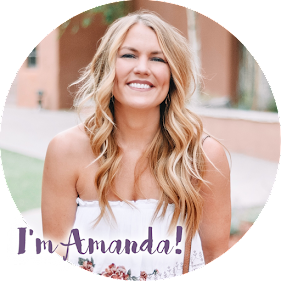 You can use code AMANDASOK for a little discount off an online order. 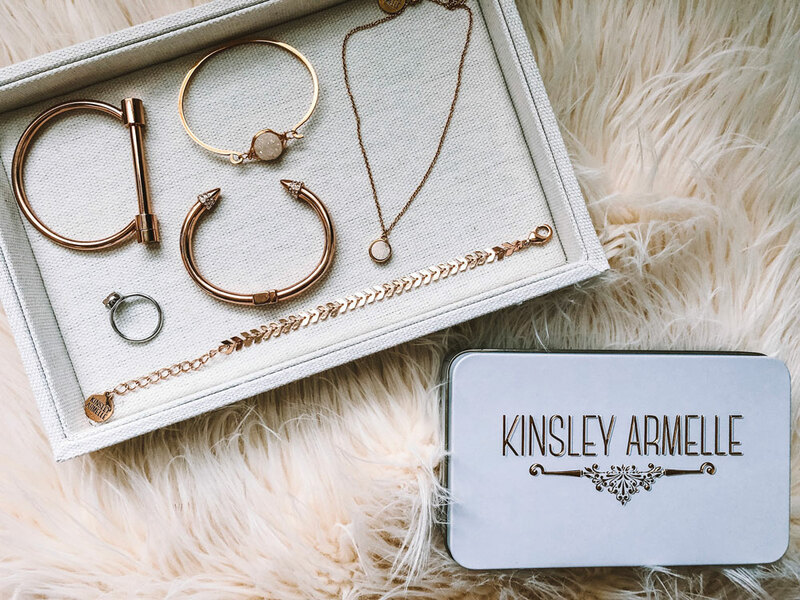 If you're feeling bored with what's in your closet or looking for ways to change your look up, definitely give Kinsley Armelle a try! They have so many pieces that can really dress up an outfit or totally change it for the better. 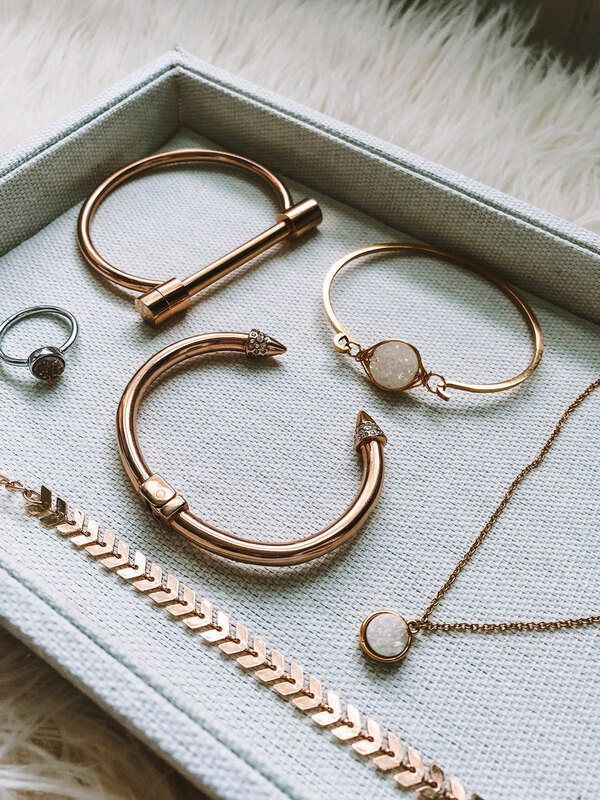 What is your favorite brand of jewelry? Any specific styles or designers you gravitate towards? Let me know in the comments! Here is a sample of the variety of products KA offers!